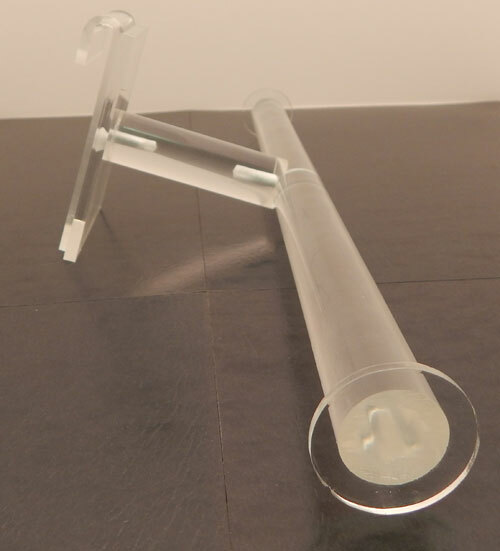 This is an acrylic T-Bar for use with gridwall. The two end caps on this jewelry display keep your products held securely in place. 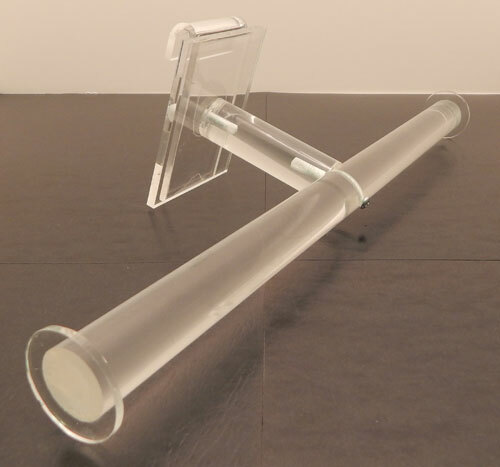 With the clear acrylic design you do not have to worry about this display fitting in with your pre existing decor. The simple design also allows these displays to be combines to create custom display areas. The gridwall bracket makes installing this display very simple.